Often, I think, we retain a special affection for the first book we read by an author. Certainly that’s true for me with Gerard Woodward, whose second novel I’ll Go to Bed at Noon, the keystone in his Jones family trilogy, still floats high above his others. Recently I read the third volume, A Curious Earth, which I’d been holding off as I’d been told it was almost unreadably grim and sad – I was surprised (and a little disappointed) to find that it was more funny than sad, though sometimes a bit of both. But it was his gift of humour that I had in mind when I started his new novel, his fifth and, at 500 pages, his longest yet. The hamlet of Heathrow was destroyed by a disgraceful misuse of wartime powers by the British government; that it was allowed to happen shames us all. Countless times I had put a stethoscope to my sister Pru’s pale chest and listened to the slamming doors of her heart, or the sudden blasts of turbulence, the vortices and hurricanoes of her breath, or the belfry and breaking-glass clatter of her laughter. But although this is the story of a life – a life so far – it is not chronological. 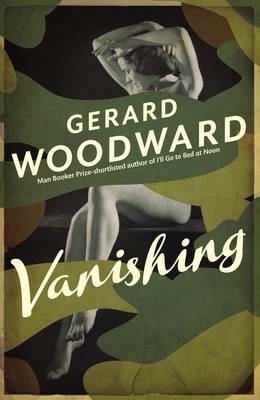 As well as the framing device (and Brill’s subsequent court martial for espionage gives us an entirely unexpected but fitting conclusion), the scenes switch between his childhood in Heathrow and at school, and his wartime experiences as a camouflage artist: making things vanish. People arrive, unexplained – why is there tension between Brill and his colleague Somarco? – and allegiances seem to switch as the story jumps from between time and time. There is an uncanny representation of how memory works, with occasional repetitions or echoes of things mentioned before, as though Brill really is telling his story just as he remembers it. Yet as the story moves on, and we get to Brill’s time in art school and subsequently as a teacher, it seemed to lose some life for me, and certainly seemed to lose the comic touch that gave me so much pleasure in the book’s first half. We learn plenty about Brill through his activities and sexual relationships but there is something schematic about the emotional core of the character – though it does occur to me that this might represent a weakness on my part for traditionally explored characterisation. How many of us, after all, analyse our own personalities as cleanly as the novelist typically does for their characters? How realistic is it to do so? The second half the book seemed less vital to me, less surprising – perhaps inevitably as the story must stop opening up and begin to close down – but that I finished it at all, and with a fair amount of satisfaction, speaks of Woodward’s ability to sustain interest. In a way Vanishing, with its rejections of traditional time structure, of representation of character, of clean causation, is more novel than its frequently comforting qualities make it appear. There are strange things hidden in the countryside. Hm. I have other fat volumes of fictional lives, and slim ones in the form of the St. Aubyn’s, so I’m not sure about this. The randomness of life tempts, the slackening of the second half in a 500 page book less so. The camouflage element sounds an interesting motif, and clearly there’s a lot here to like. In another mood I could see myself reading it with a great deal of pleasure since it sounds a lot of fun, but we have reading seasons and right now this isn’t in mine I think. I love Woodward’s trilogy and really like Nourishment, but this one is a slog. Camouflage, things ‘vanishing’, hidden sexuality and coding during war time, the central metaphors felt laboured and the structure overly schematic, even the prose seems a bit workaday. And now I’m hearing my other favourite English novelist, Edward St Aubyn, has produced a disappointing new novel. Gah! I was struggling to make headway with this one until I bought it for my ereader. Huge hardbacks don’t fit my lifestyle very well. I’m glad I read this and found much of it excellent, but perhaps it didn’t hold together as well for me as his previous works. I also don’t think I understood the end and so I’m still pondering. Reading through your review, and those elsewhere, it appears that it’s not that ambiguous, so I think I’ve missed something. For example, April’s letter at the end mentions 3 children rather than one, so are we to assume that there has been a lot of Brill’s story untold?